TravStar1 Point Of Sale SystemRegister Manual Truck Fleet Transactions (TFT)How Do I Setup and Process a TFT with Tractor Fuel Only? How Do I Setup and Process a TFT with Tractor Fuel Only? 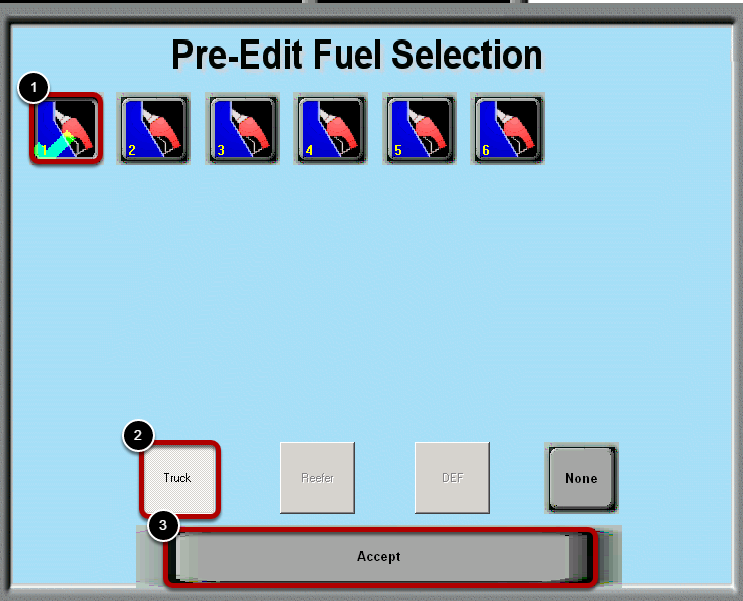 This lesson will teach you how to start a Truck Fleet Transaction (TFT) and process it for diesel fuel only. 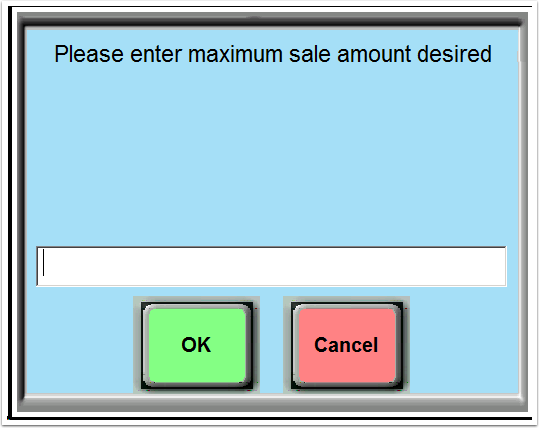 In this example, the customer is paying with cash. 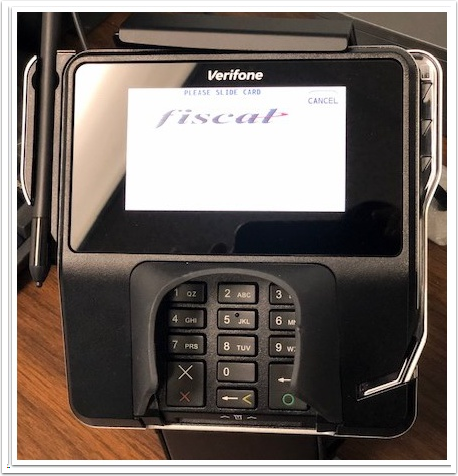 Note: On the MX915 (EMV) Pin Pad, some Fleet Card Customers will be required keep their card inserted in the MX915 Pin Pad slot through the whole process of entering the Customer's Information for the Truck Fleet Transaction. (1) Select Dispenser. In this example we have chosen dispenser 5. In this example, the driver is getting diesel fuel only. So, we will touch the "Truck" button. (2) Touch "Truck" is the driver is getting diesel fuel only. Touch "Reefer" if the driver is getting reefer fuel only. Touch "Both" if the driver is getting both diesel and reefer fuel. Touch "None" if the driver is not getting either type of fuel. 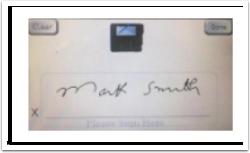 Note: If Customer is using a Bank Card you may get a System Message on your Register to enter the Maximum Sale Amount. 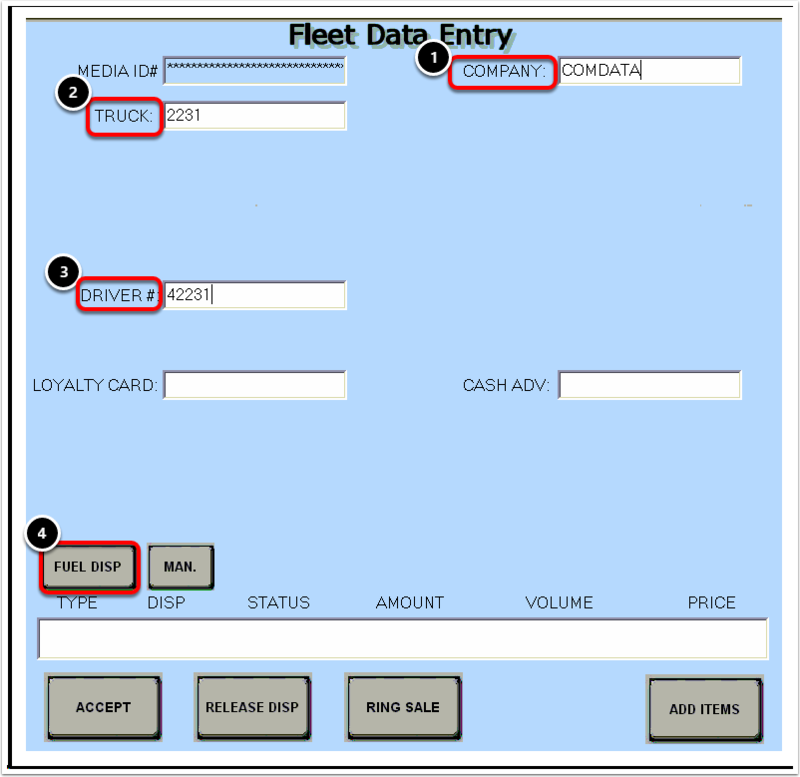 In this example, Comdata requires the (1) Company Name, (2) Truck Number, and (3) Driver Number information. 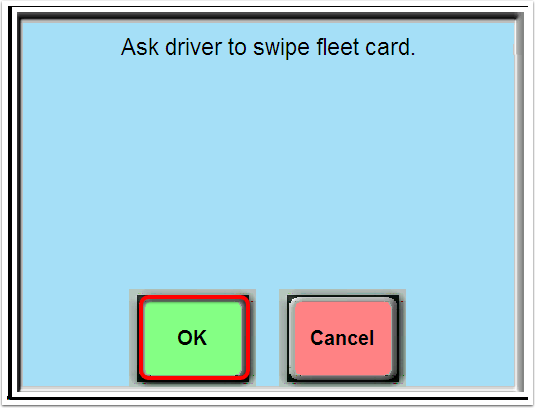 (4) Once you have entered the driver's information touch the FUEL DISP button. 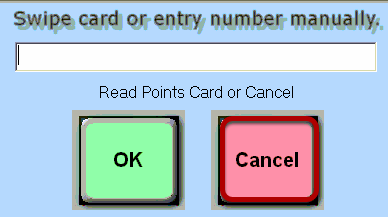 Note: The required information will vary depending on the card type. You will see a message pop up on the screen confirming that the dispenser is now authorized. The driver can now dispense fuel. 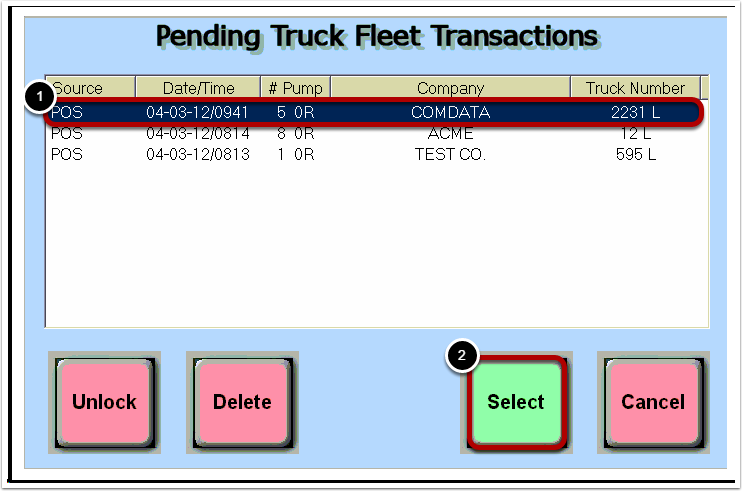 Once the driver has finished fueling, you will need to find his transaction in the list of pending fleet transactions. 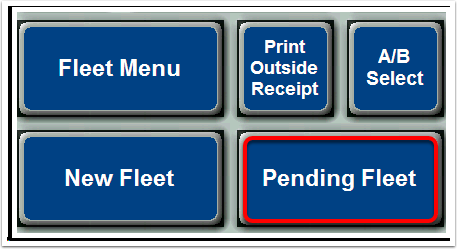 Touch the "Pending Fleet" button to pull up the list of Pending Fleet Transactions. Prev: How Do I Use the Rest On Pump Feature? Next: How Do I Setup and Process a TFT with Reefer Fuel Only?